Do you have an appointment or somewhere fun to go? 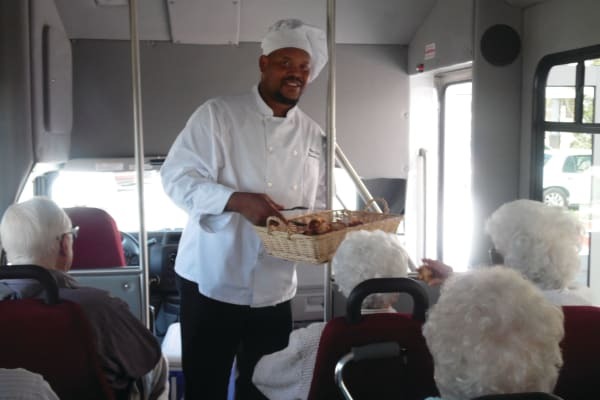 Come and meet our bus driver and see how we can help! 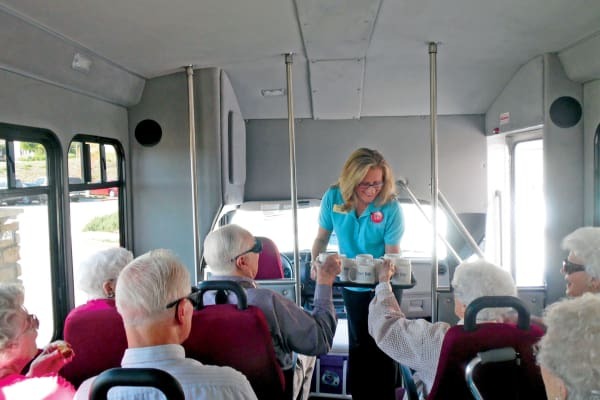 Enjoy coffee and cookies while our driver takes you to all your scheduled appointments, shopping and other fun outings. Never visited us before? 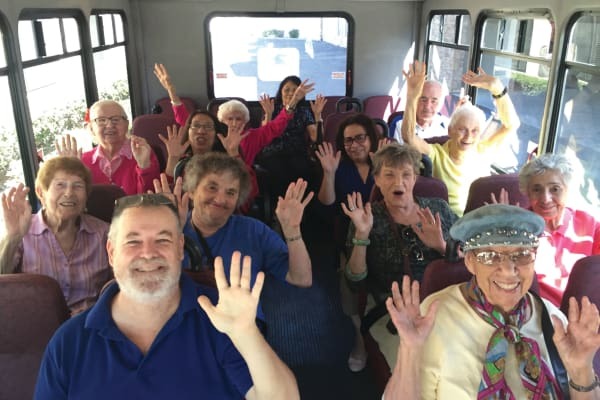 Call today and our bus driver will pick you up in our comfortable bus for a complimentary meal and personal tour of our beautiful community. We would love for you to meet our wonderful residents and live in management team!